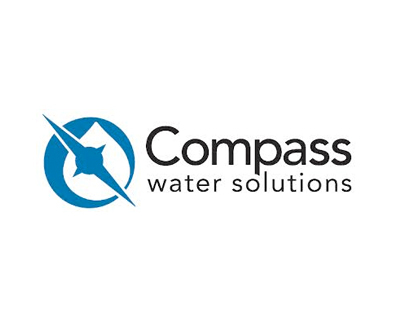 Well in advance of MEPC107 (49) regulation, Compass Water Solutions introduced an innovative multi-stage OWS ULTRA-SEP. 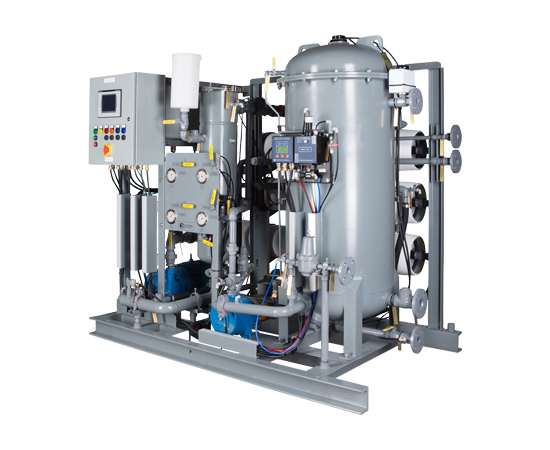 It combines matrix coalescing technology, depth process filter followed by unique membrane technology: SPIR-O-LATOR. The SPIROLATOR membranes are oil-repellent and prevent oils and oily-emulsions from passing through. Thus providing a positive physical barrier to oily discharge, contamination and an assurance against a spill. IMO MEPC 107(49) Type approval by USCG, ABS, RMRS. EC wheel mark. Optional: pre-heater, duplex pre-filtration, auto-cleaning system, ex-version ATEX. In some cases bilge conditions are described as tough, severe or impossible. A holding tank – or intermediate settling tank may be used as a pre-treatment stage for initial separation of particles, water and oil droplets due to difference in specific gravitational weight (under stokes’ law). A baffled, cascading tank with drains, oil skimmer and internal heating is a sound pre-treatment. Another important aspect is to outfit the primary suction source of OWS with level-switches for auto-start and stop of OWS. Soot, fine particles and scale can also be filtered out by a duplex pre-filter to reduce the initial load to the OWS and extend the lifetime of components. OWS ULTRA-SEP is an excellent choice, please look at the specifications for more information.